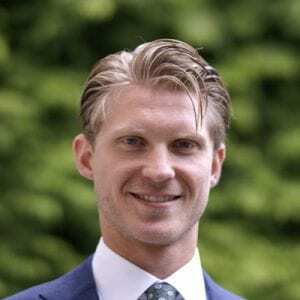 Mathijs holds a Master’s degree in Business Administration with a specialization in Strategy and Mergers & Acquisitions, obtained at the University of Amsterdam. With his experience in corporate business development he adds value to global strategy and M&A related services in industrial sectors. Prior to Larive International, Mathijs got particular experience in corporate business development, by working for the industrial MNC Lamb Weston/Meijer. Mathijs has gained profound experience in global strategy development, (international) M&A, competitor analysis, writing business cases as well as project management. Notably, Mathijs worked on the acquisition of the Oerlemans manufacturing plant and the establishment of the Joint Venture with Balaya Dacha in Russia. The SRD Group, is a renowned family-owned company in India that specializes in the production, sales and marketing of branded food and beverage products, predominantly for the bakery industry. Its product portfolio encompasses traditional Indian savories and bakery products. The company (co)produces for Indian conglomerates, commercial MNC of bakery products as well as their own retail stores in India. Larive supported the SRD Group with their investment in a new industrial bakery facility in India and advised on the debt financing possibilities from the Netherlands. This project resulted in a financial model that supports the SRD family with the decision-making of their investment.